The west is where it is at, dogs. Hot off the news that Square Enix might be buying Eidos in order to conquer the lands of the setting sun, comes Namco Bandai’s announcement of a new gaming label called Surge. The brand, which will clearly target the west’s needs of over-the-top names related to power and energy, will launch some time next year, though details are relatively scarce. 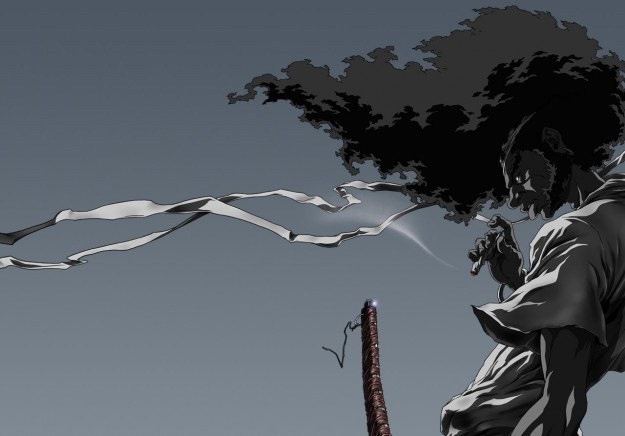 However, their first game will be Afro Samurai, based off the cartoon of the same name, which is already in development by Namco Bandai’s US development group. Logic dictates that this group may become Surge at any point in 2009. “Surge…personifies our commitment to deliver compelling content for the discriminating player who is looking for games that are not only groundbreaking but also push the envelope. …Surge will complement our portfolio of established franchises and intellectual property while positioning the company as a creative force,” Namco Bandai exec Andrew Lelchuk said. In short: there’s money in the west and Namco Bandai wants it. Hopefully this means more quality games from the developer who is often hit and miss on their release schedule. A western development team could really breathe some life into Namco Bandai with new approaches to old franchises or new IPs in general.